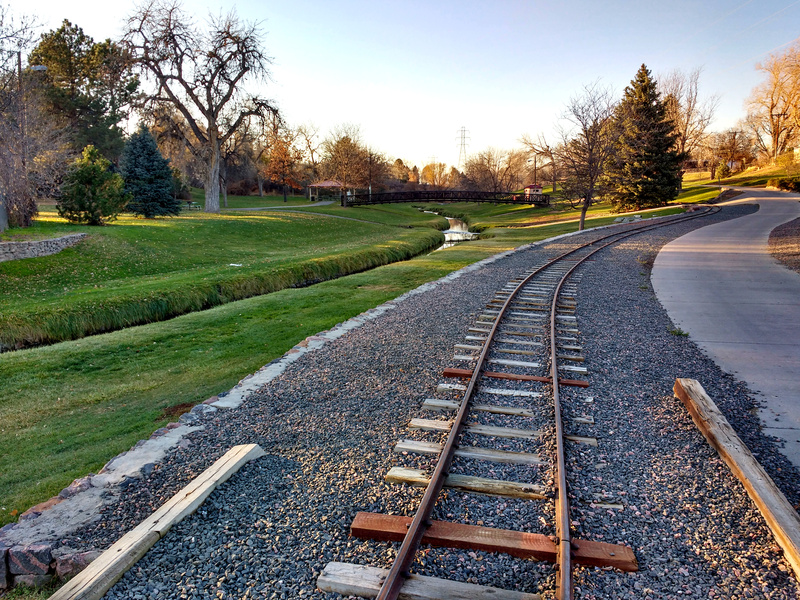 Free high resolution photo of train tracks, a paved concrete path and a stream running through a park with green grass. In the background you can see a bridge over the stream. Free photo for any use.